Walnut with a sun burst eucalyptus top surrounded by an accent line of bloodwood and maple. 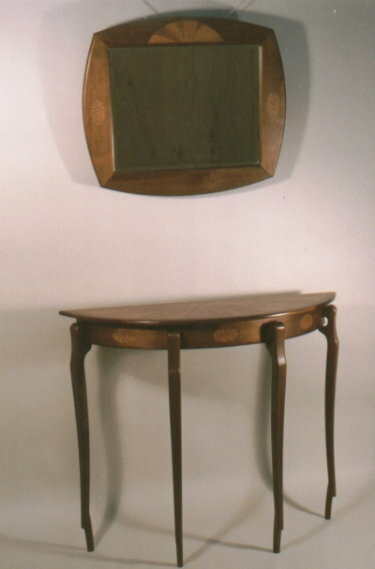 Eucalyptus inlay is in the table apron and mirror frame. 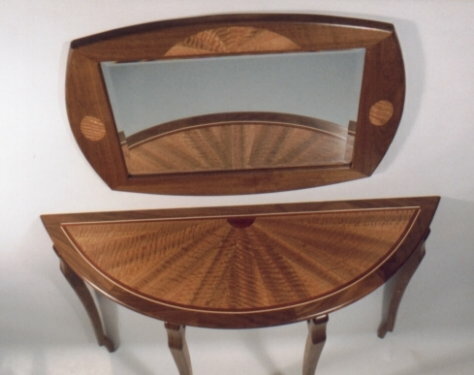 The legs are a unique sculpted shape that join the table apron in an open "C" shape.